1) What exactly is a content strategy? 2) Do we really need one? A content strategy lets you define the role your content will play as part of your overall brand building strategy. To create a content strategy that actually works, you must first define a content territory that is strategically relevant for your businesses. This is paramount and must lie at the intersection of your unique value proposition and your audience’s pain points. Your content strategy will influence what your audience thinks of your business. It will not only determine the topics you’re associated with, but also decide when, how and where you link with your prospects. The idea is to provide your audience with a compelling value-added proposition that gets them to become repeat buyers — or in other words, earn their loyalty. With regards to the second question, it’s a no-brainer and the answer is a RESOUNDING YES! Studies tell us that brands which produce a well documented, actionable content strategy tend to do better than those that don’t. They drive more ROI from their content marketing efforts. Depending on your brand’s purpose and identity, you’ll need to find different ways of getting them to care about your content and come one step closer to you. While this may vary from organization to organization, consider incorporating these three themes that will be consistent across all content types. Educate: Help your audience know something useful that they can apply right away to solve a problem in their lives. Entertain. Surprise them, make them smile, laugh and eventually care enough to share with their friends family, colleagues and the rest. Inspire. Tell them emotional and relatable stories— that they want to be a part of — and let them know how important they are to you, even beyond generating business. What does your audience typically speak about and what do they want from you? What action would you want your audience to take when they come face to face with your content? Which channels do they use most often? What type of content must you create to reach out to people at every stage of the buying cycle? As marketers, we understand the importance of tailoring the same message differently to meet our audience at their exact point of need. Today, buyers are past 66% of the purchasing journey before they really decide to contact a sales person. In other words, your prospective customer is going online to get educated — either from you or your competitors. Don’t leave your customers to connect the dots. Make it damn easy for them. When did you hear about a website (or an app or a form) being too easy to understand? People who are already familiar with your brand or product and are having trouble deciding whether or not they need to consider buying from you, need to be given a different message than those who’re just getting to know you better. It’s about being valuable through the art of adding value. According to research, only 16% of the audience is ready to buy. What about the remaining 84%? They are waiting for you to make them ready to buy. Forrester Research tells us that the brand that gets in early and helps provide a clear solution to their customer wins 74% of the time. Perceived relevant benefit − total cost of ownership. But to be more relevant, you must first understand what is actually important to your audience. Here, the customer would perceive value in terms of how soon you can get them the growth they are seeking. If content is king, perception is his battle ground, considering 68% of organizations lose business due to perceived indifference — which means customers think you don’t care about them even if they’re all you care about! A whopping 90% of content created by B2B marketers is never used by the sales team and 43% of content marketing efforts don’t bring in the results. 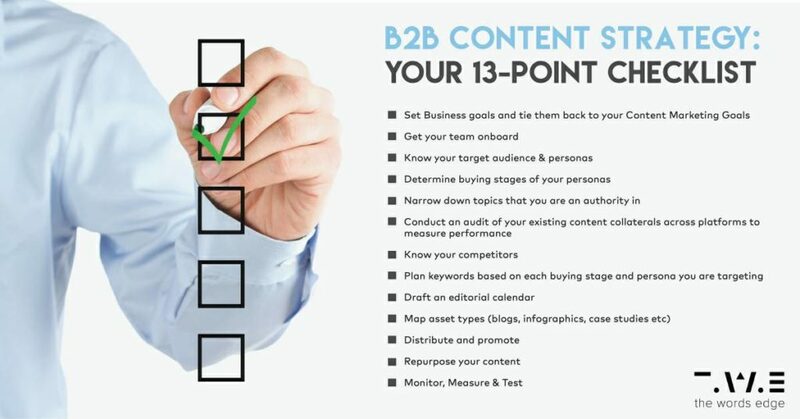 Thankfully, B2B Buyers generally look at 3–5 pieces of content before talking to a salesperson. This means you have plenty of scope to add value in your content and tilt the buying factors in your favor. A good place to begin is to map out useful content based on different stages of the buyer’s journey, and figure out how your content can be plugged in effectively. Discovery — This is the stage at which the customer is just getting to know your company and figuring out if they need your service. Research — At this stage, the audience is partially convinced that your product might overcome their problem. Validation — Here, they begin to explore other options (your competitors) and start narrowing down their choices to zero in on one service provider. Buying — This is the last stage when your customer finally takes a call on who to buy from. It’s best to engage your customers via blogging and/or social media at the first stage of discovery or awareness — on your own website as well as on others. Take your blog to the next level by comparing and analysing content marketing data. 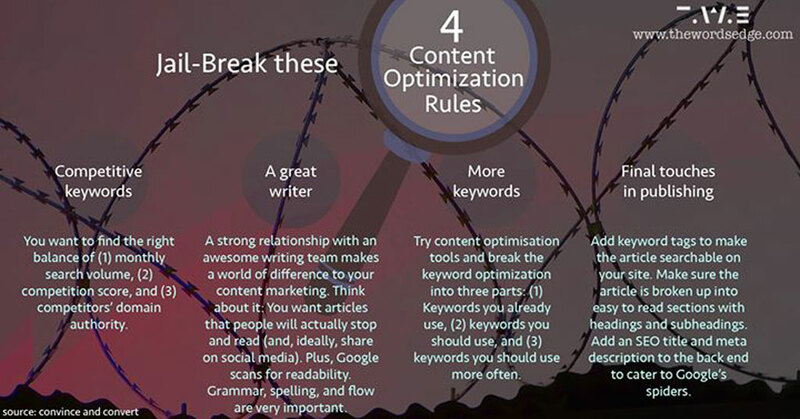 The following 4 things were found to be most important for launching a competitive content marketing strategy. 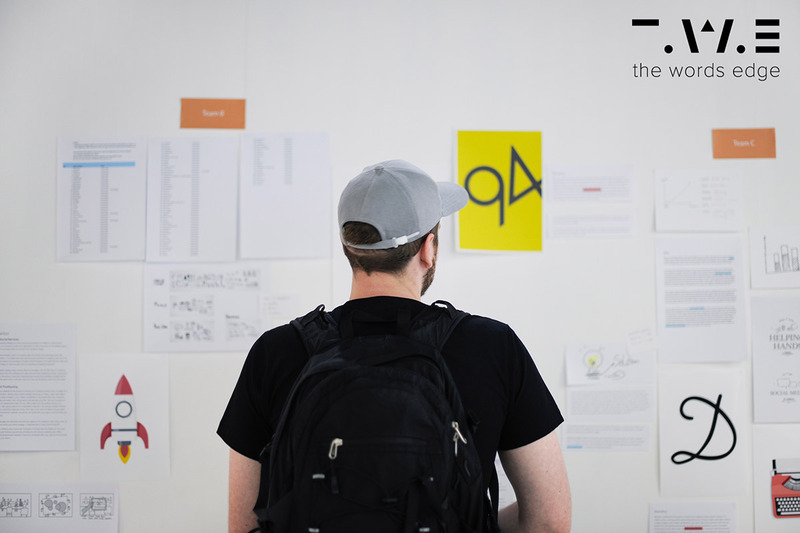 However, that strategy may not work at the research and validation stages, as chances are that your audience is looking for credible evidence about why they should do business with you. At this stage, you may want to look at producing slightly more in-depth content like case studies, white papers, webinars or eBooks. And of course, you can make your social media interactions more meaningful — especially on platforms like LinkedIn or Quora where you can stand tall – as a thought leader and influencer. Because this gives your audience an implicit message that you mean business and are also knowledgeable about your subject, that you can shape opinions and influence buying choices. As your customers begin to realize that (this will not happen in a fortnight though), they’ll slowly start to invest their trust in you because you’re now giving them a valid reason to take their attention from competition — they would rather buy from someone who is an expert and cares about their personal needs than someone who appears too sales-driven and focuses more on making exaggerated claims (style) than on driving value (substance). A useful indicator of finding out how valuable your content has been is to use a win/loss analysis. This practically forces you to know why you did or did not bag the deal. When your customers say that the price is too high, you can be pretty sure that the actual reason why they did not buy from you was because they didn’t see the hidden value in your offering. Put simply, if you DO NOT create enough value for your customers (your product or service) they will begin to seek value with regards to price. Therefore, the foremost step in creating a content strategy is to understand what it is that your customers value most — price or a substantial benefit for which they would be happy to pay that price. Want to take your content strategy to the next level?